The Trump administration has been seeking to implement its Mideast peace plan despite the Palestinian Authority president’s rejection of Washington’s mediation role in the conflict with Israel after the US moved its embassy to the Jerusalem. Arab countries have reportedly warned the US against unveiling its Middle East peace plan, saying that it could lead to yet more turmoil in the region. A source familiar with the situation told Haaretz that any deal, which does not meet Palestinian expectations could only add to already escalated tensions with Israel. "If the administration presents a plan without Jerusalem and without the refugees it will be an earthquake whose repercussions will undermine stability in the entire region and no one is ready for that," Haaretz reported, citing a source familiar with the situation. The source also claimed that the Arab delegation cited the fact that their countries were dealing with internal challenges. "Egypt isn't short on internal issues, along with fighting terror in Sinai; Jordan is dealing with many difficulties on the home front and repercussions from the Syrian war don't simplify things and the Saudis with the challenges in Yemen and the struggle against Iran," the official said. These remarks are at odds with Israeli Hayom daily’s earlier report, suggesting that Saudi Arabia, the United Arab Emirates, Egypt, and Jordan had given the green light to the US plan for the Israeli-Palestinian peace process regardless of the PA’s boycott and rejection of US’ mediation role. 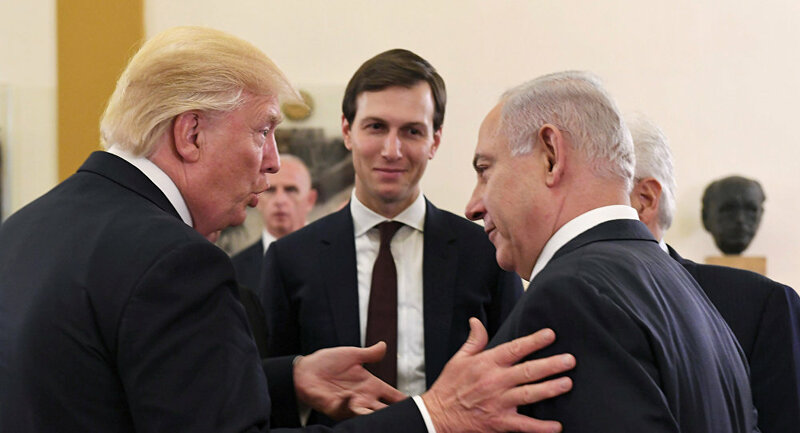 The so-called “deal of the century” is being promoted by Trump’s senior adviser Jared Kushner and envoy to the Middle East Jason Greenblatt, who recently returned from a Mideast tour. Earlier this week, French website Intelligence Online reported that the duo initiated a clandestine meeting between intelligence chiefs of Saudi Arabia, Jordan, Egypt and Israel’s Mossad head. Speaking with the Palestinian newspaper Al Quds last week, Kushner said that he was ready to negotatiate the peace plan with Mahmoud Abbas. "If President Abbas is ready to go back to the negotiating table, then we are ready to participate in the discussion, but if that's not the case, then we are going to make the plan public," Kushner said, adding that the plan would be ready "soon." According to Israeli intelligence website DEBKAfile’s report last month, the plan would give the Palestinians limited sovereignty over about half of Israel-occupied West Bank and pronounce the village of Abu Dis, east of Jerusalem, as their capital. Historically, Palestinians consider East Jerusalem as the capital of their future state. The US plan would also reportedly insist on Hamas’ full disarmament in exchange for granting Palestinians sovereignty over the Gaza Strip. Last year, Trump recognized Jerusalem as the capital of Israel and relocated the US embassy to the city, triggering a new wave of intensified tensions between the Palestinians and Israel. 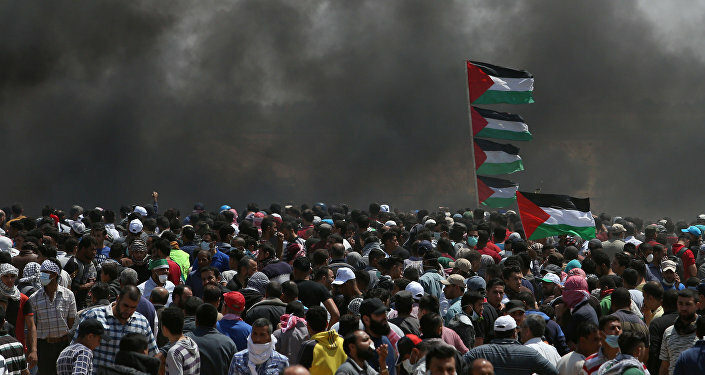 Trump's decision, which sparked violence on the border between Israel and the Gaza Strip, was harshly criticized by most Muslim countries, as well as nations, supporting a two-state solution to the long-standing conflict.